The Edmonton Oilers are now four games into their 2018 NHL preseason and like any preseason where players understand it’s about showing up and making a case for yourself, the results are mixed. 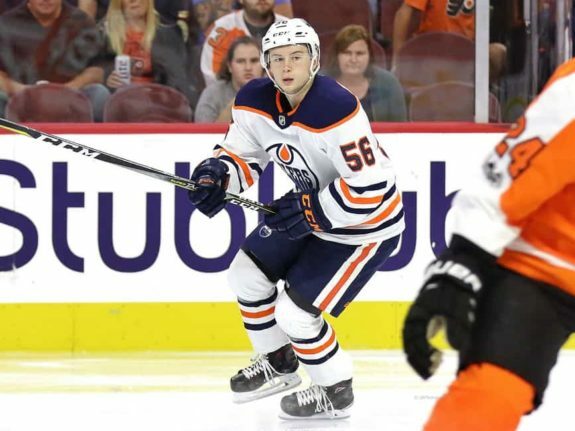 While there are questions on the blue line and in goal, in many ways, the Oilers have to happy with what they’re seeing from a number of the young kids. In nearly every instance where the organization has asked young players to take a step forward, those players have responded. If we take a look at some of the names who might have been on the bubble for NHL employment – or, at the very least, were not slotted in pen on a certain line – we can start to pinpoint which players might have played themselves into bigger roles on the opening night regular season roster. On Sunday, Yamamoto was placed on the left wing against the Winnipeg Jets. 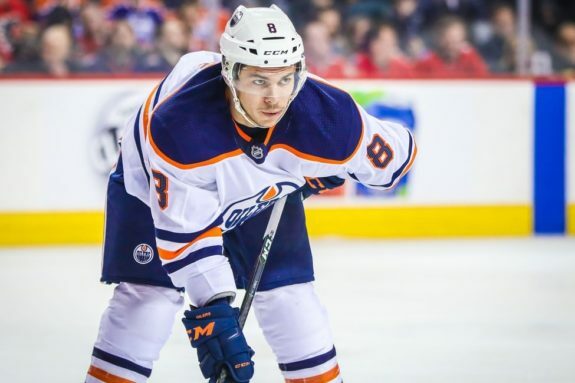 He’s shown what he can do at his natural right wing spot and the Oilers wanted to see what options they might have during the season should injuries or struggles force them to make difficult decisions in other positions. The way things have been going for Yamamoto, it shouldn’t surprise anyone that he hit it out of the park again. Over the past two preseasons, Yamamoto has nine goals. This preseason, he’s 4-2-6 after he potted two goals in an Oiler loss where he was the Oilers best player against a star-heavy Jets’ roster. Playing well when he needs to show his stuff has become something he’s quite good at but what makes his showing so much more impressive, is how he’s scoring and contributing in many ways. Right now he’s redefining the notion ‘they don’t ask how they just ask how many.’ For Yamamoto, how is just as important. Yamamoto is smaller in stature but certainly, he’s not just a perimeter player. He’s proven he can retrieve pucks, be effective in high-traffic areas, work on special teams and create havoc in front of the opposition’s net. Whether he’s drawing a penalty, providing a screen or crashing for a rebound, he seems to be everywhere and often without the need to have top-end players helping along his production. Yamamoto might have been a maybe to start the season but it would be shocking if he’s not on the Oilers roster to start the regular season. He may even be making a case to swap out a player like Tobias Rieder to give Yamamoto a look beside someone like Leon Draisaitl. Related: Ty Rattie: Perfect Fit for the Oilers? The Edmonton Oilers were hoping Ty Rattie would be a good fit alongside Connor McDavid and Ryan Nugent-Hopkins but there was always a small chance he’d falter. Not only has he not lost the job to someone else, but he’s also got seven points in two preseason games. He’s showing the low-cost gamble the Oilers took has the potential to be a huge win and there’s almost no way he’s losing that spot to someone else at this point. Rattie would need to play the rest of the preseason games and do absolutely nothing right to give the coaching staff a reason for pause. That he’s been grouped in with the players who have sat while the bubble players have had to show their stuff means he’s practically penned in for that top-line spot. It’s his spot to lose. 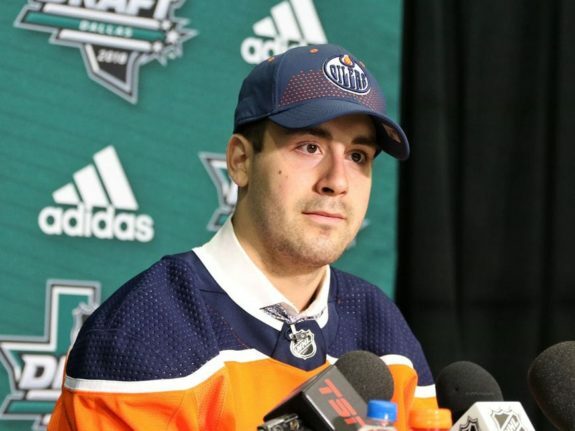 The first defenseman to make our list, merely weeks ago, if you asked most insiders or fans in Edmonton if the Oilers should keep recently drafted Evan Bouchard on the team to start the season, most would have told you no. But, of every defensive bubble player that could have stood out this preseason, Bouchard has been the best. He’s poised with the puck, played in all situations and might just be the most offensively-gifted defenseman on the entire Oilers depth chart. His defensive game needs work, but even then, he appears to be farther along than anyone might have expected and he’s making it hard for the Oilers not to keep him around. The fact that he didn’t even make the trip to Winnipeg and the Oilers left him behind with their top-end talent speaks to the fact management may have already seen what they need to. The idea with Sunday’s roster was to let blueliners show their stuff and earn their spot. The Oilers didn’t feel the need to ask Bouchard to go through the same process. More telling is the fact that other defensemen didn’t really step up their game — Kevin Gravel was placed on waivers on Monday. There are plenty of players who have done well and it’s promising for the Oilers when it comes to areas they were lacking coming into the season. Of the players not listed here, Ryan McLeod, Pontus Aberg, and Ethan Bear have shown well too. The painful part will be looking at players who have potentially played themselves out of better roles.